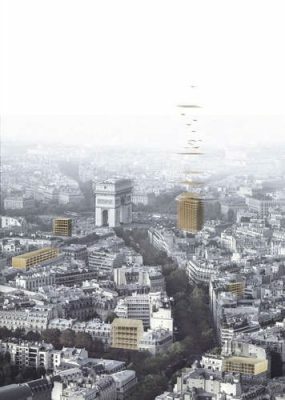 Tall Building Designs in Paris: The hyper-urbanisation of the world cities requires new solutions for housing construction. 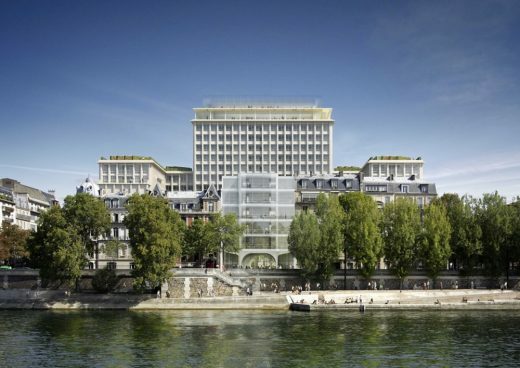 The building permit figures in Paris show a growing interest in building upwards. 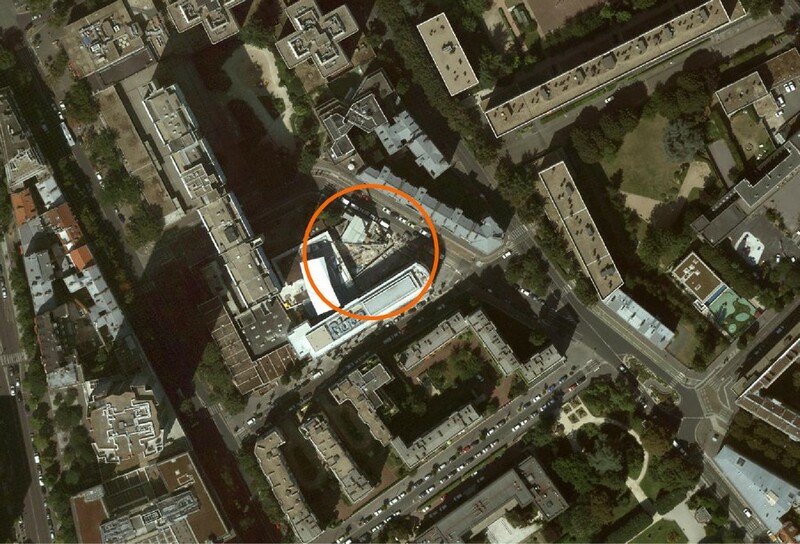 Building upwards is a simple and effective solution for visually enhancing and extending a solid construction. 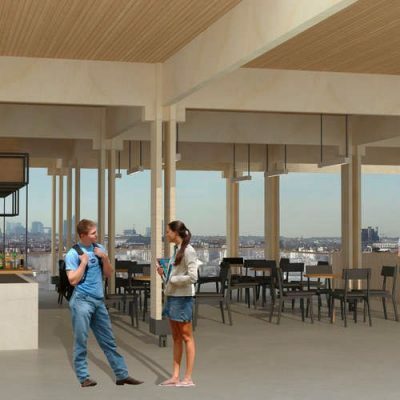 Because it is lightweight and quick to construct, Kerto® LVL – laminated veneer lumber – is an ideal material for designing and building wooden extensions in urban environments. 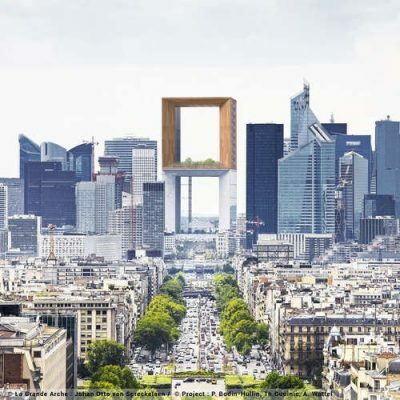 Between 1990 and 2011, over 1,200 vertical extension projects were authorised in the city of Paris, while over 31,000 building permits were filed, and over 65,000 requests for authorisations were recorded. These figures attest to the growing interest in building upwards in cities. 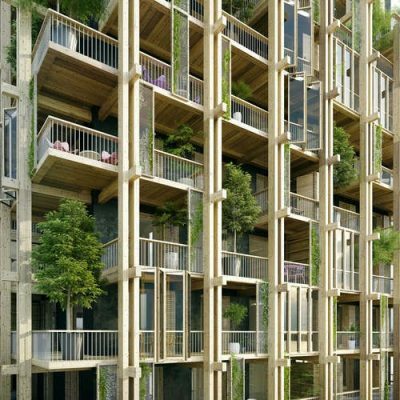 In France, the abolition of the urban density rule, introduced in 2013, and the implementation of the access to housing and urban renovation law in 2014 are giving fresh impetus to the practice of building upwards in cities through wooden extensions. 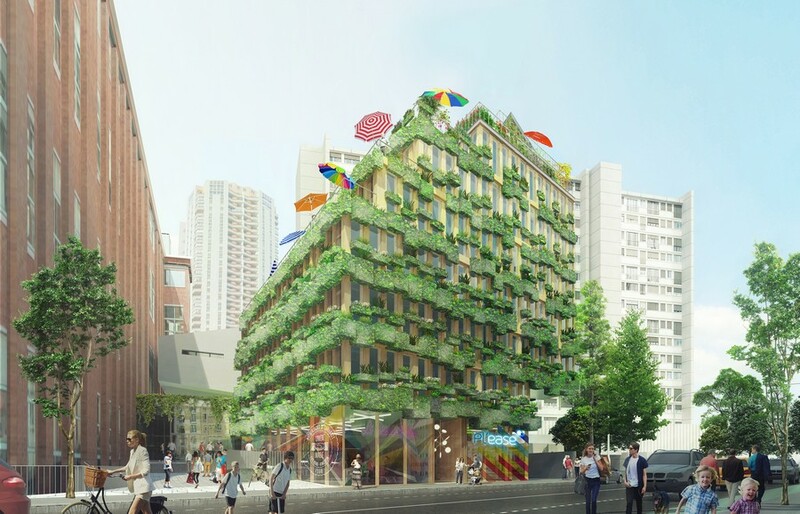 It offers an appealing alternative for the city of Paris, which remains densely built-up and is seeking to increase its housing stock by promoting urban greening and renovation. 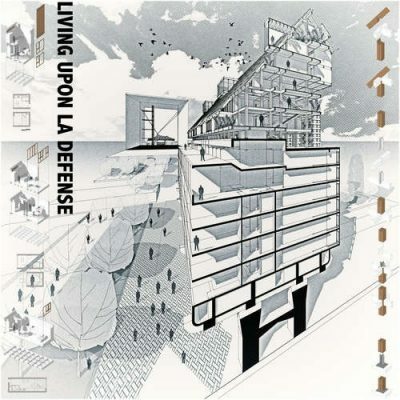 Vertical extensions are a logical solution for meeting urban housing needs. 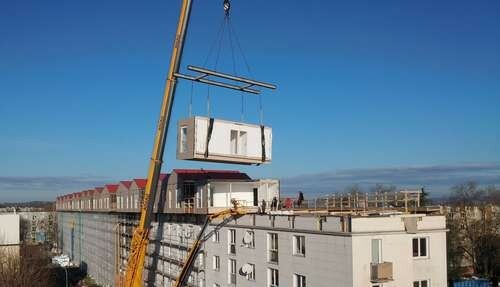 Because the wooden structures are prefabricated, extending upwards becomes faster and more economical. 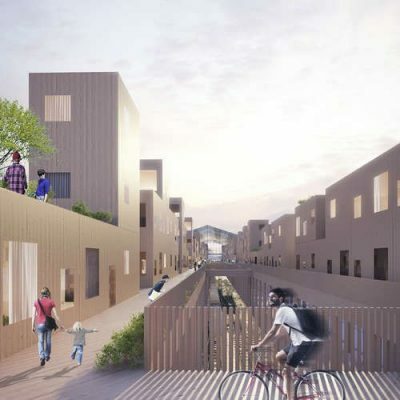 Involved in a heightening and passive building renovation project in Poissy, architect Laurent Pillaud views the construction of wooden extensions as an undeniable asset for producing and transforming building stock in urban areas. 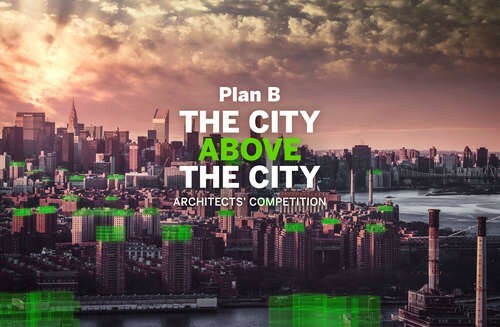 The city of Paris also inspired remarkable and ambitious projects in Metsä Wood’s architectural competition that took place last year. 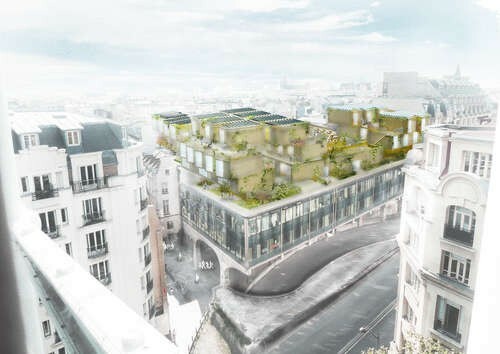 The Pods, a project designed by Fabrice David and Marion Brière, has created an extension above western Paris. 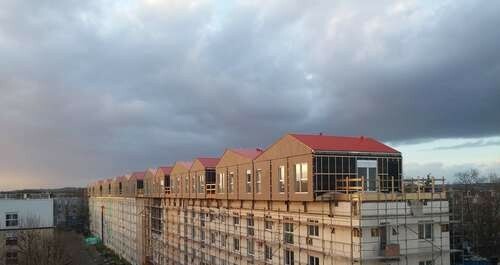 The architecture of this district, built over 50 years ago, now has a somewhat unattractive image. 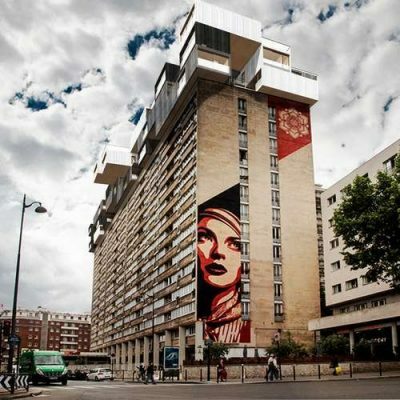 Californian artist Shepard Fairey had already created the impressive mural “Rise Above Rebel” in this area, the perfect place to revitalise buildings by building upwards with wooden extensions. 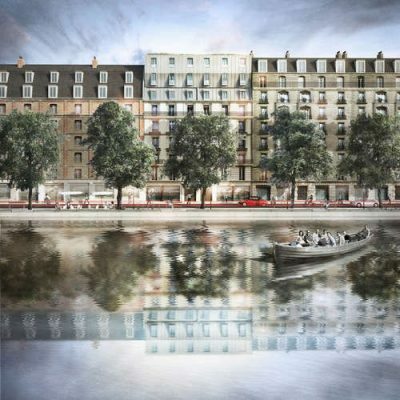 “Modelled on this work of art, we proposed upgrading the building by constructing wooden housing on a surface area 82 metres long by 16.5 metres wide. 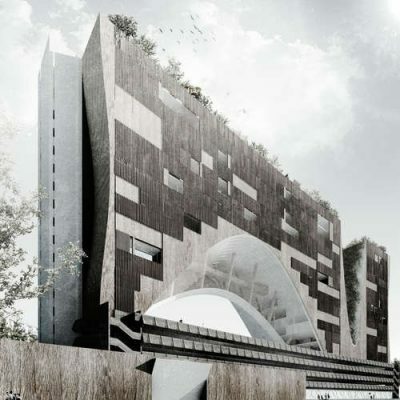 We wanted to push the boundaries with a design we were passionate about,” says David. 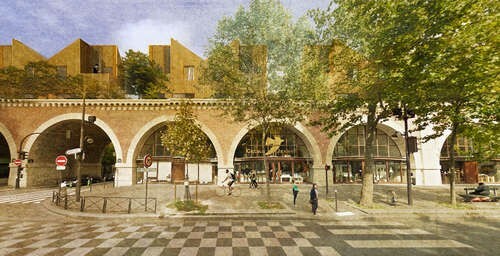 David Chipperfield Architects Berlin, together with Paris-based developer Emerige wins the Call for Projects to redevelop the ‘Boulevard Morland’ site.